The history of jazz is often told through the exploits of its firestarters, outsized personalities like Charlie Parker and Miles Davis who sent shockwaves through every bandstand they visited. That’s the headline level, and it’s useful for understanding various periods and styles. But as the music evolved and expanded in the 1960s, priorities shifted, and so did the roles of the players. There was need for musicians who were perhaps not always so flamboyant. The collective pursuit of a sound became as important as individual heroics, and that created opportunities for gifted team players and facilitators, musicians who sought to complement what was happening rather than dazzle people all the time. Maiden Voyage springs from the mind of one of the most adept and creative of the sound-sculpting facilitators, pianist and composer Herbie Hancock. By the time he recorded this, Hancock had been in the Miles Davis Quintet for several years, an experience he, bassist Ron Carter and drummer Tony Williams, the rhythm section here, all described as transformative. Among Hancock’s tasks in that group was to create expansive landscapes for Davis; the pianist stoked and framed what became epic discussions by drawing on a range of sources. His accompaniments might glance at the syncopated jabs of 1920s Ellington, or the clusters of free jazz, or the gorgeous pastel chords associated with Debussy. Hancock has said that in the Davis fold he learned about space and subtlety, about how something small and slight, like a three-note chord, could trigger torrents of spontaneous creativity. To hear that in action, consult virtually any recording of the ‘60s Quintet. Or check out this record, because Hancock brought those strategies for conjuring and slyly shaping a tune into his own projects. 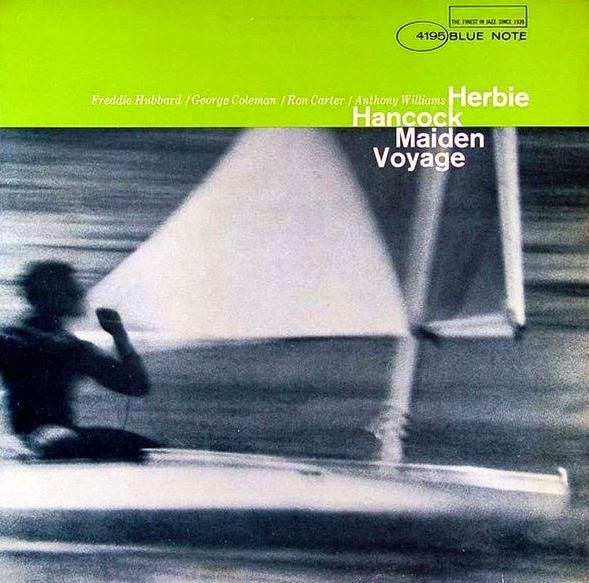 Maiden Voyage, arguably his peak solo statement from the 1960s, appropriates elements of the Davis group dynamic for a transfixingly understated meditation on the lure of the sea. It’s a classic that’s justifiably revered for its compositions and its solos, and also, perhaps most importantly, the rich and delicate interactions that run throughout. The album is a perfect case study in the art of group interplay; it offers an array of thoughtful answers to the question “How, exactly, does conversation happen in jazz?” Hancock starts with the notion of melody: Each of these five pieces is built around a singable theme, one that’s durable enough to be inverted, paraphrased or passed around the group in the heat of improvisation. The melodies of Hancock’s tunes serve as a kind of through-line, echoing in the margins. Hancock refers to his themes, in oblique ways, when accompanying trumpeter Freddie Hubbard and tenor saxophonist George Coleman: He’s cultivating an atmosphere of expansive openness, and sometimes those glancing references help remind everyone involved about the dimensions of the canvas, the color palette and overall tone. This tactic proves particularly wise on the deceptively challenging “Dolphin Dance:” The mood is placid but the solos get stormy, and whenever it seems like the music is about to fracture, Hancock slips in some little phrase that gathers everyone back together.